Divorce lawyer Dana Pechersky handles family law matters including divorce proceedings, equitable distribution, paternity issues, spousal and child support matters, pre-nuptial and post-nuptial agreements, time sharing issues (commonly understood as child custody), modification and enforcement of spousal and child support, parental relocation, and issues involving domestic violence. 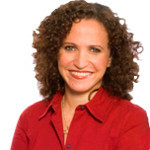 Dana Pechersky obtained her Juris Doctor from Nova Southeastern University, Shepard Broad Law Center, where she participated in the family law clinical program. Dana Pechersky also obtained a civil law degree from Universidad de Belgrano in Argentina. Dana Pechersky is a member of The Florida Bar, Broward County Bar Association, Hispanic Bar Association, and Florida Association For Women Lawyers. 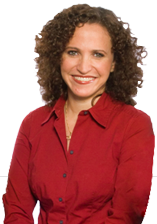 Dana Pechersky understands that family law problems are among the most challenging issues a person may face. She assists husbands and wives, and mothers and fathers, in navigating through the difficult situations with compassion. Dana will give you the personal attention you need and deserve during stressful situations involving divorce, or any other family law matter. Dana Pechersky is serving clients as a family law attorney in Broward and Miami-Dade counties, including Weston, Pembroke Pines, Plantation, Davie, Tamarac, Fort Lauderdale, Oakland Park, Lauderhill, Coconut Creek, Dania, Deerfield Beach, Everglades Parkway, Hallandale, Hollywood, Lauderdale Lakes, Pompano Beach, Miramar, Southwest Ranches, West Park, Miami Gardens, Hialeah, Coral Gables, Aventura, Miami Beach, North Miami Beach, Bal Harbour, Sunny Isles, Bay Harbor Islands, Biscayne Park, Doral, Key Biscayne, Miami Shores, Miami Lakes, Miami Springs, North Bay Village, Surfside, and Miami.